Refurbished or reconditioned laptops are forms of computer hardware packed in good condition, with good performance, advantages and portability with cheap and affordable pricing. Not to mention, warranty and technical support service is given by the vendors especially if the units are branded. Vendors usually perform thorough tests and repairs on refurbished laptops before offered. 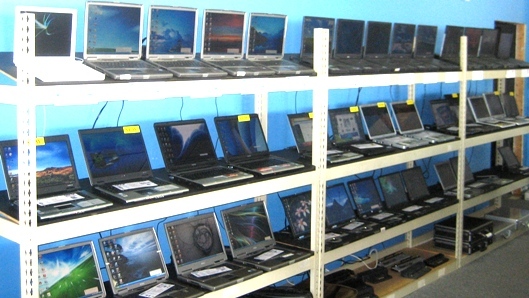 Before released from the factory or quality control, each laptop should be cleaned and bundled with warranty. This is how a refurbished laptop is being prepared for its future buyers/users. Buying brand new and high-end laptops does not necessarily mean that you had the most advanced and innovated machine’s capability, performance and specification as far as technology can offer. However, brand new and high-end laptops are only advisable to users who are in need of an absolute performance, and enough storage and memory based on their works’ requirements. Among these users are the web developers/programmers, software engineers, graphic and layout artists, and others who are in the field of IT and business industries. Average users commonly use refurbished or reconditioned laptops. These users belong usually in a workgroup of writers, call center agents, office clerks, and small-sized businesses. Personal or home users are also categorized as average users. A colossal majority of users of used laptops use them for several and yet simple tasks. These tasks usually include Internet browsing, accessing emails, local software and office applications such as word processing, spreadsheets and presentations, chatting, listening to music and other similar tasks that only require minimum technical requirements. These tasks do not require for laptops with advanced and innovated technologies and gadgets that usually cost expensively if purchased. Instead, these tasks only require minimal speed on CPU, RAM, Memory, and Internet Connection. Nowadays, wireless access to Internet is propagating in places such as coffee shops, schools, clubhouses, restaurants, parks and other confined places where a user is free and convenient in using a laptop. Furthermore, we will discuss the advantages, considerations, and comparative analysis with brand new of buying refurbished laptops. Budget is an important factor in buying a laptop whether it’s a brand new one or refurbished. As a buyer, we prefer buying goods in good prices but of good quality. We always want our goods to be worth the price when buying them. In case of refurbished laptops, working condition and performance are the topmost requirements we hunt for. Not to mention, its physical looks and defects count as well. Refurbished or reconditioned laptops don’t usually have working batteries. These batteries are not necessarily dead or totally not functioning, it’s just that they don’t last on the usual two hours life of a laptop battery. Because of this, some refurbished laptop buyers tend to buy new battery for their unit to function well. As a piece of advice, refurbished laptop buyers should be wised enough in considering a brand name for their unit. Among the branded and trusted laptops that offer refurbished stocks at good pricing are IBM, Lenovo, Toshiba, Dell, HP-Compaq, Neo, and Fujitsu. Software applications are also needed to be considered in buying refurbished laptops. Some refurbished laptops are limited to advanced and innovated software applications. So it’s important to determine the software applications that a user needed for his or her computing environment. Most of the refurbished laptops only include the Operating System (OS). If your bought refurbished laptop doesn’t include an OS, you have to install it yourself instead. For those who are not knowledgeable enough in installing an OS, it is recommended to have a thorough research first on the basics involved before buying refurbished laptops. Tarang Bhargava is the CEO of Vexat Inc. and has been exploiting AdSense and Affiliate Marketing as income sources for almost six years now. He also extends his experience to guide newbies to earn cash online by providing free AdSense websites. http://www.ArticlesDirectory.org contains quality content, keyword rich and informative articles. 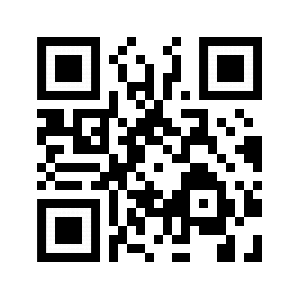 You can read as well as submit blogs, latest news headlines. Become an author, post articles and earn money.